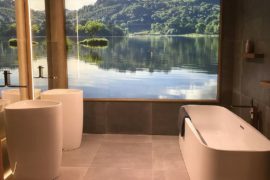 The recently presented its newest designs at , a highly regarded international showcase of the latest state-of-the-art trends in ceramic and bathroom design. 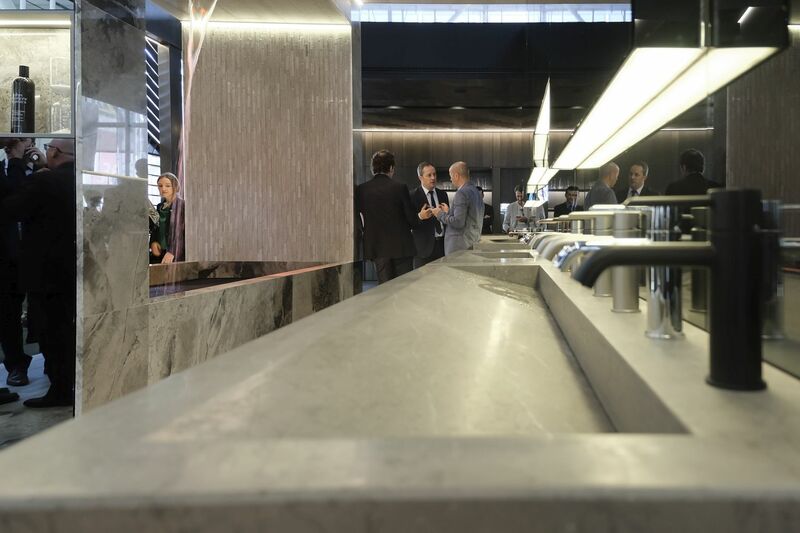 Taking place in the northern Italian city of Bologna from 25th to 29th September 2017, the Porcelanosa Group’s exhibition space was a creative design tour de force. 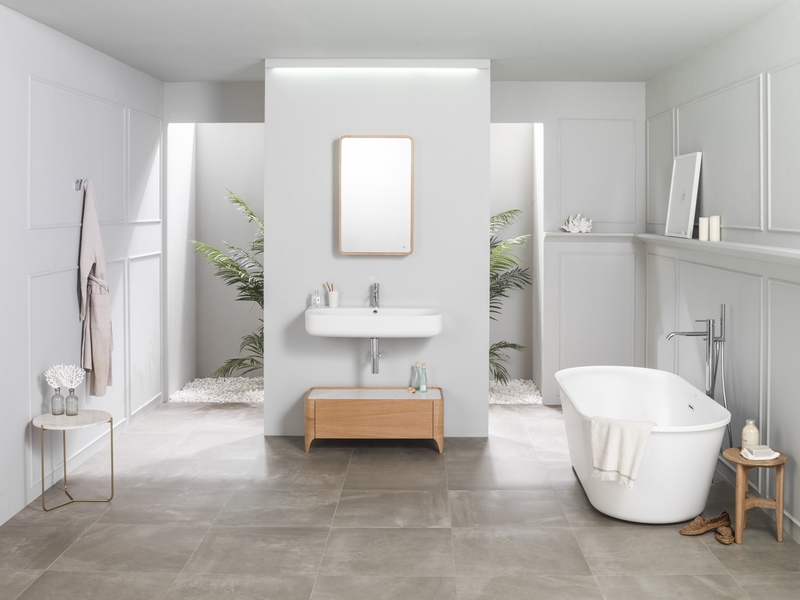 At Cersaie, the Porcelanosa Group focused attention on ‘the flow of water’, emphasising the importance of well-being, health and vitality in the home environment. 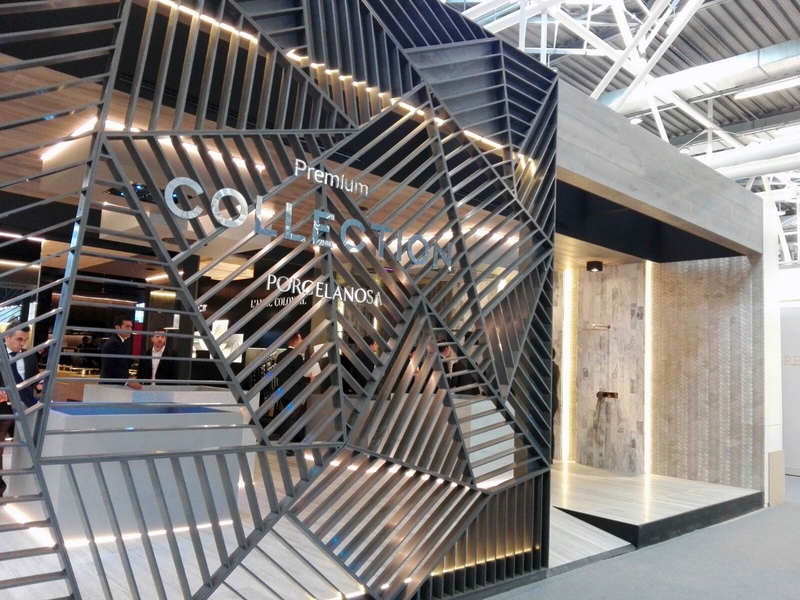 Its impressive, interactive show space was divided into two prominent parts: the Premium Collection stand, created by architect, designer and art director Ramón Esteve, and the Porcelanosa Group stand. 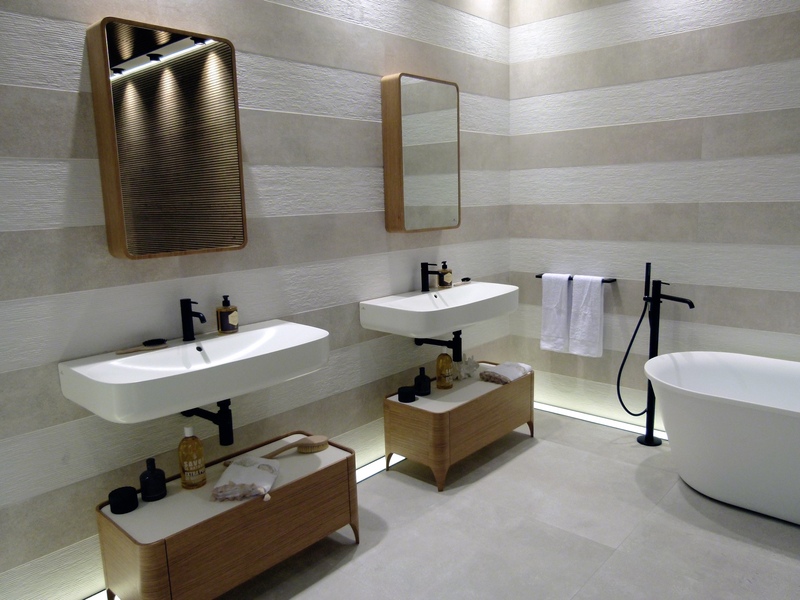 The Premium Collection was centred around a main spa area, whose central feature was water. 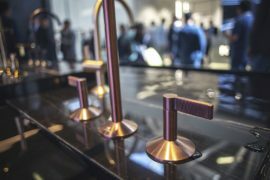 As well as a focus on new innovations in bathroom taps, two spaces were dedicated to the and K-Life (a new air-purifying solid surface). 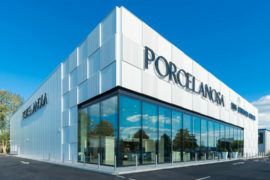 The Premium Collection is notable for its elegance, distinction and exclusivity, and is made up of designs by a number of Porcelanosa Group companies, including: Noken (a manufacturer of bathroom equipment), L’Antic Colonial (a specialist in exclusive and natural products such as marble or wood), and Systempool (the developer of Krion®, a next generation solid surface). 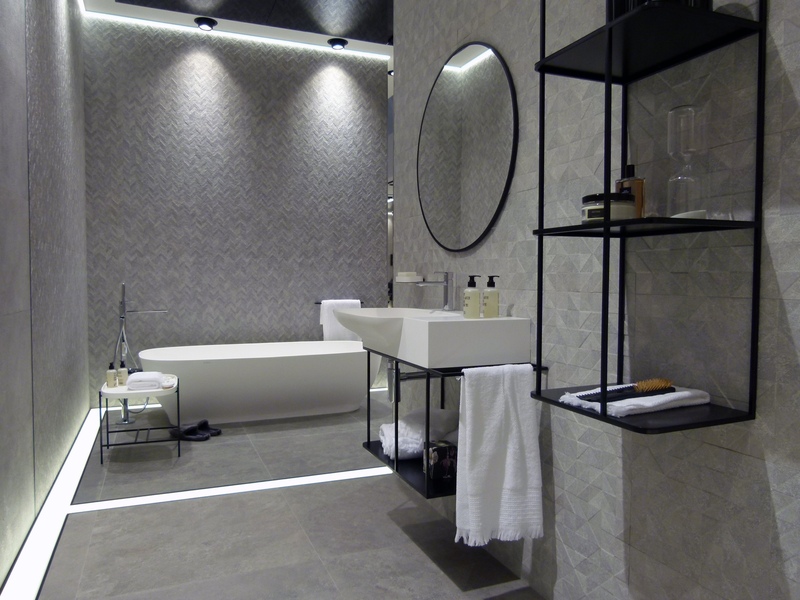 The Premium Collection at Cersaie. 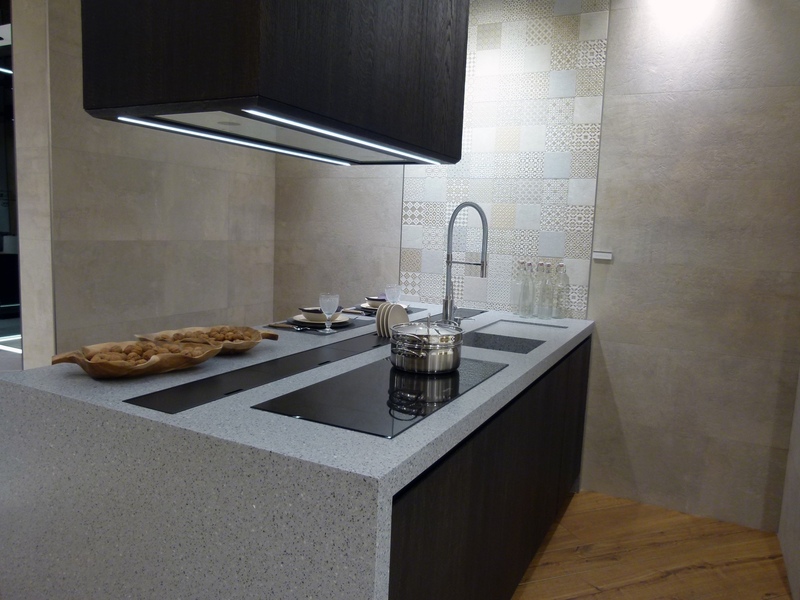 At Cersaie, the Premium Kitchen offered an expression of simplicity and harmony. 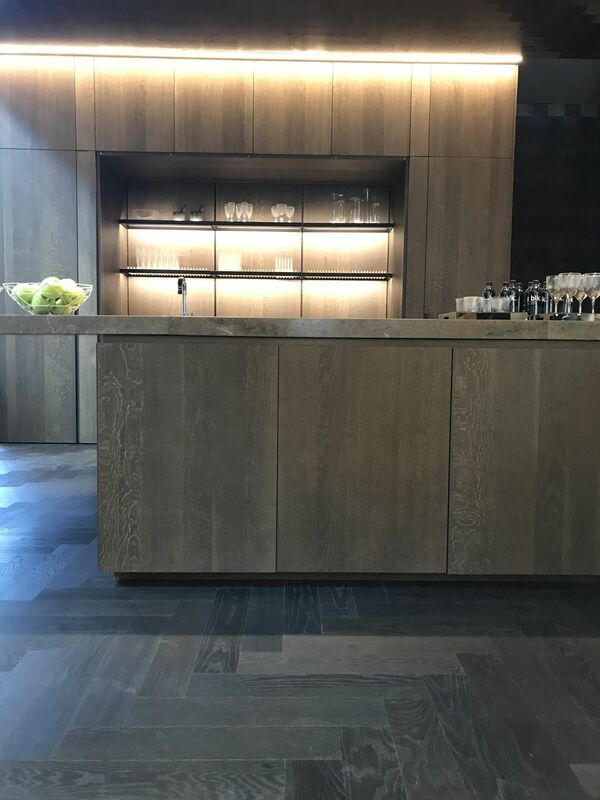 Combining Havana Grey marble from L’Antic Colonial with an Oak Leather finish, alongside an elaborate process of surface carving to enrich the authentic appearance of the natural wood, the kitchen is clearly aesthetic and thoughtful in its presentation. 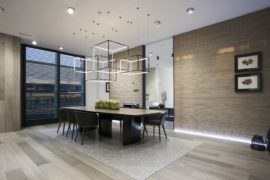 With household appliances contained within a central column-like zone, a large recess light and a flexible island area, the Premium Kitchen is a prime example of smart design. 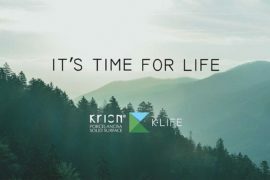 K-Life is the latest innovative venture from Systempool, developed via the brand’s . 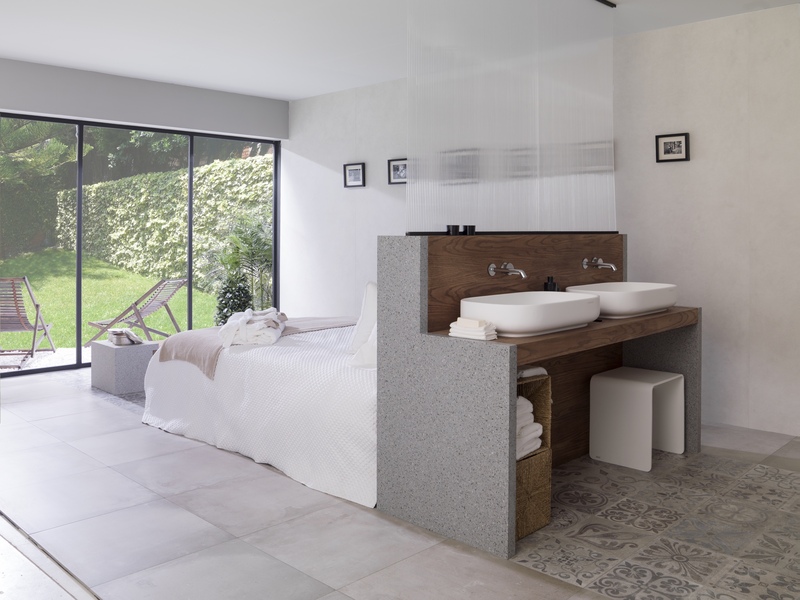 Krion® Eco-Active Solid Technology takes Krion® to the next level, and is aimed at improving quality of life and well-being. 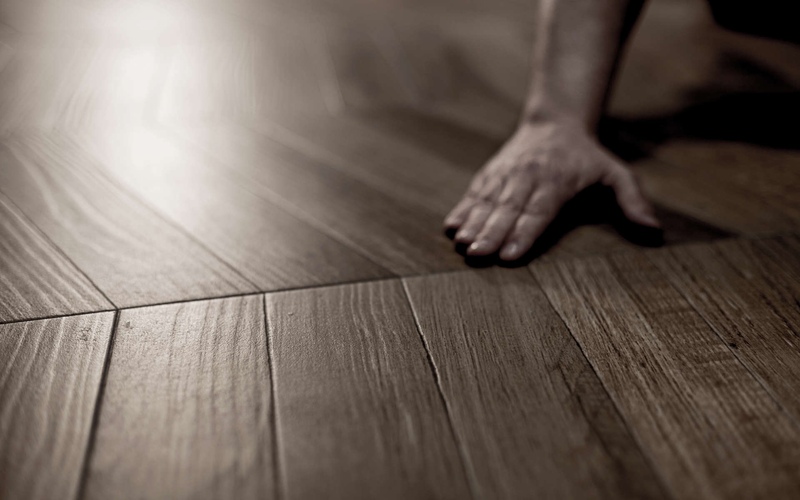 K-Life’s innovative properties can purify the air, offering improved anti-bacterial qualities and removing up to 100% of any chemical products that come into contact with the material. 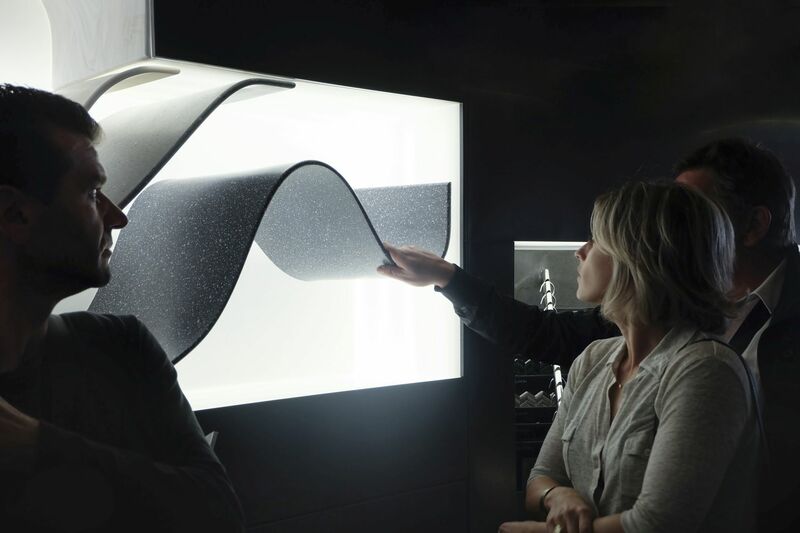 Just one-square-meter of this material will purify enough air for at least six people to breathe over the period of a year. 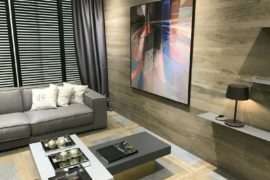 During Cersaie, the K-Life zone (located within the Premium space) used an interactive and audiovisual experience to demonstrate the material’s advanced properties. 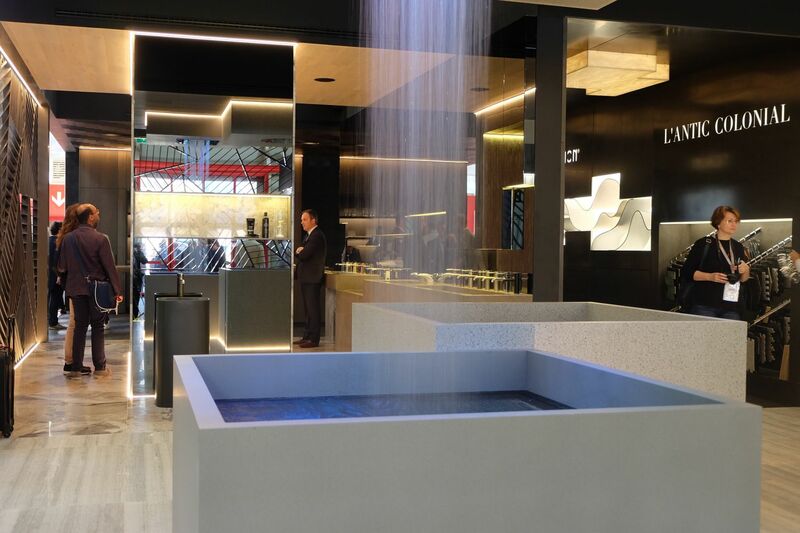 Each company within the Porcelanosa Group attended Cersaie, taking part in a collective exhibition that combined architectural splendour with technological innovation. 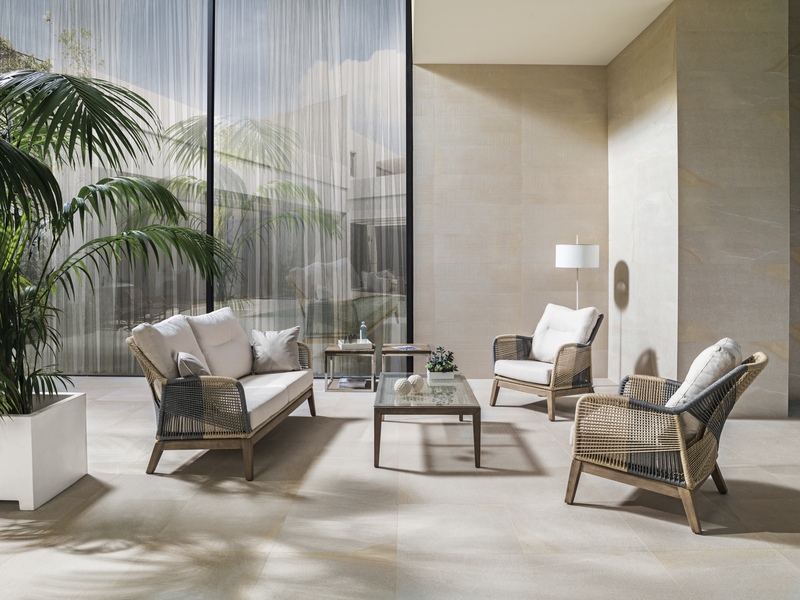 A large Krion® Taupe facade (pictured top) provided the entrance to a series of interconnected spaces. 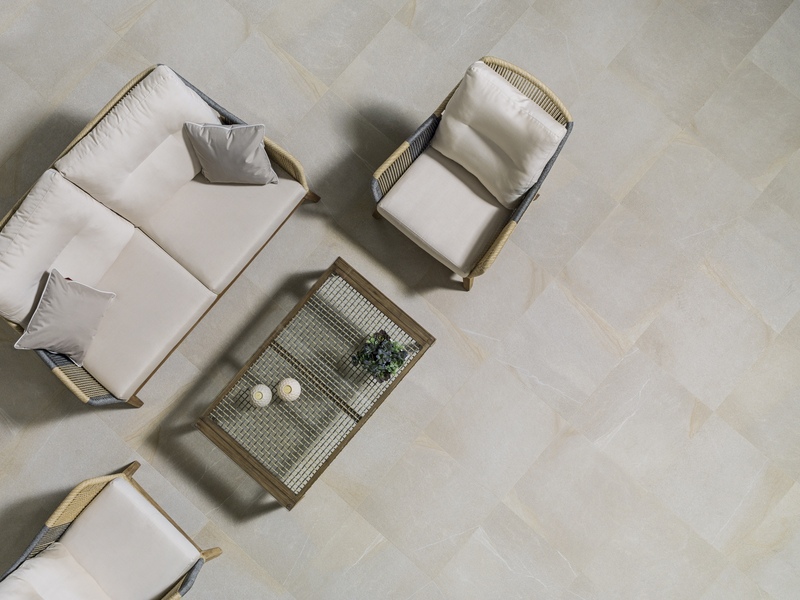 Tile manufacturer Venis presented Dayton—a material composed of Piasentina stone that incorporates pale white veining and small flashes of colour, with brown hues and pronounced oxide strata. 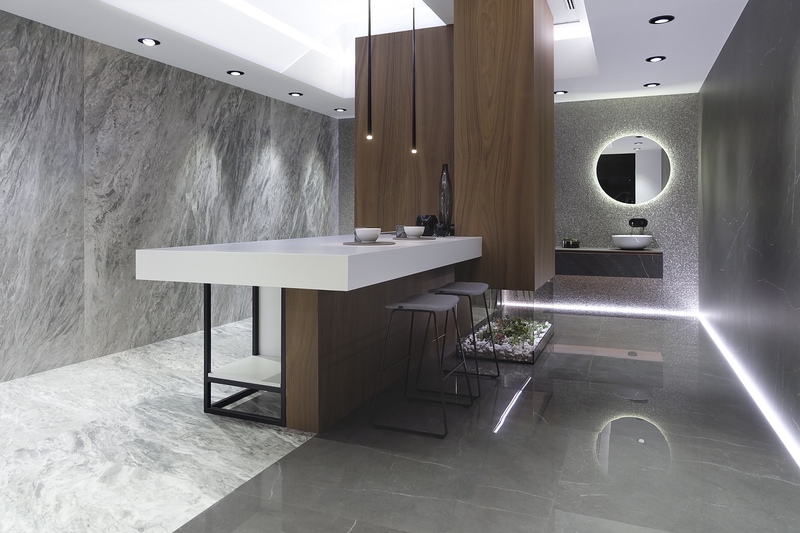 Urbatek, a company researching and developing large-format porcelain tiles, presented Xlight Premium (with incredible new marbles) and Xlight Ewood (a warm and elegant wood collection inspired by nature). 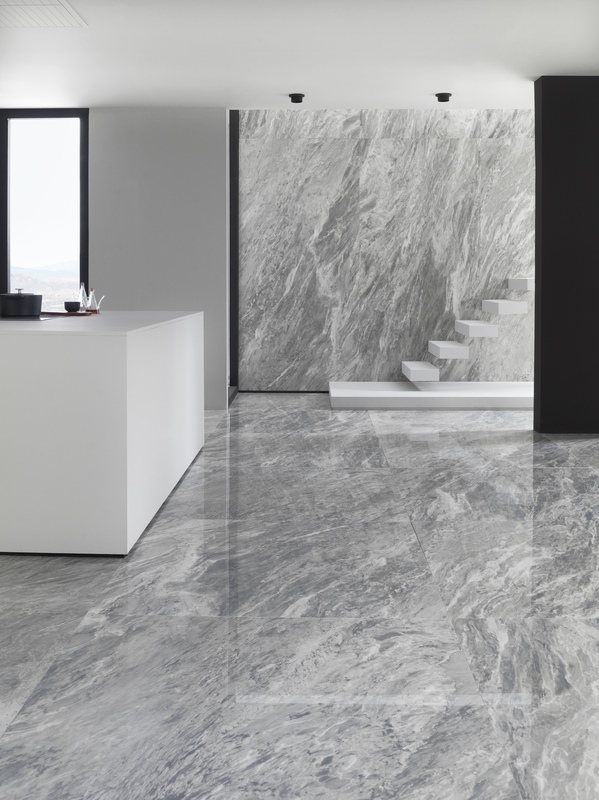 Urbatek Xlight Premium Storm Grey Polished. 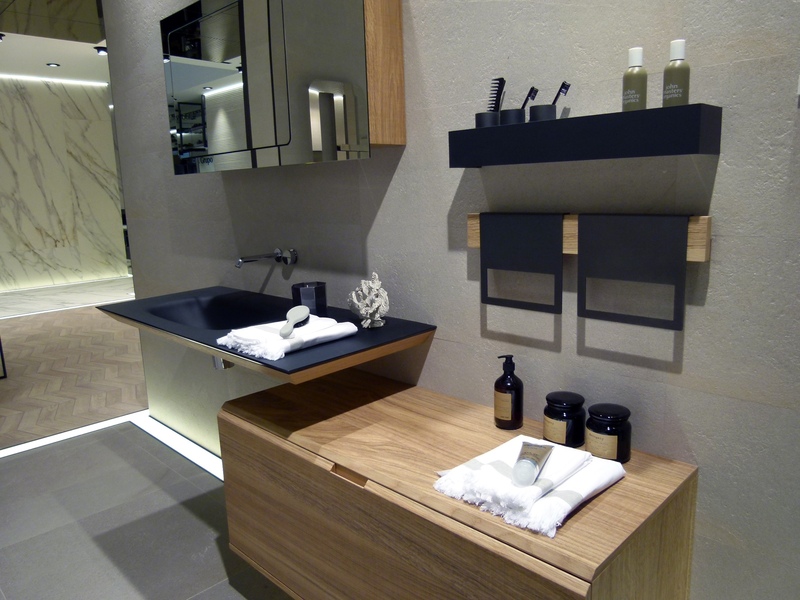 Noken’s Nordic-inspired Nature mirror and cabinet fuse natural oak with Urbatek’s Xlight Premium ceramics. 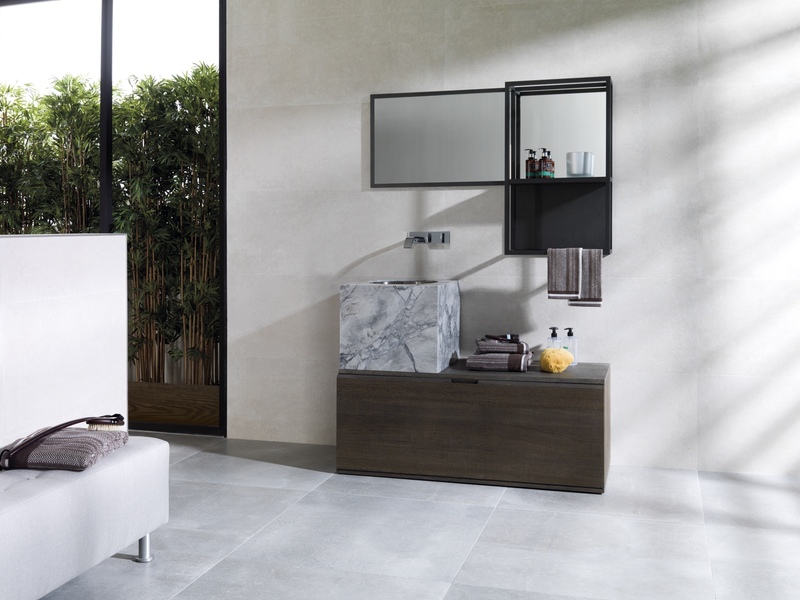 Nature mirror and cabinet at Cersaie. 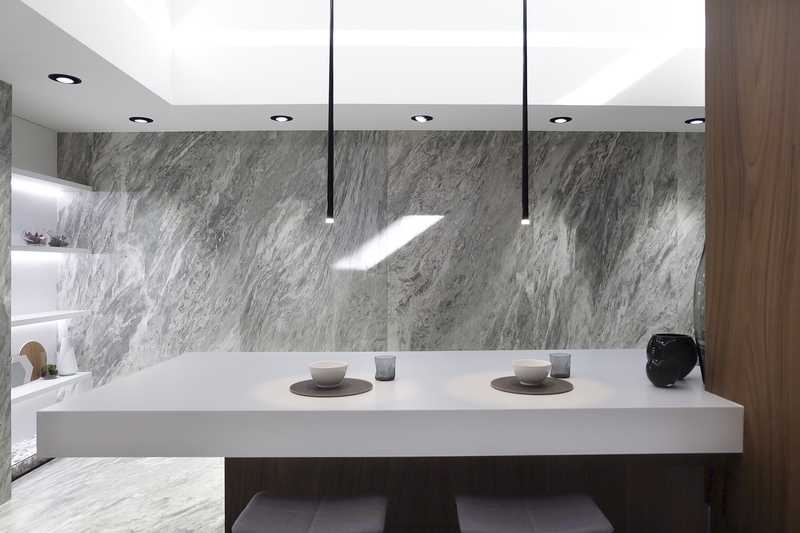 Developing modern kitchens and bathrooms, Gamadecor presented a number of innovative products, including a basin-shaped rectangular block clad in natural granite (part of the Mertens collection), and an anti-scratch/anti-fingerprint-coated matt glass suspended countertop. 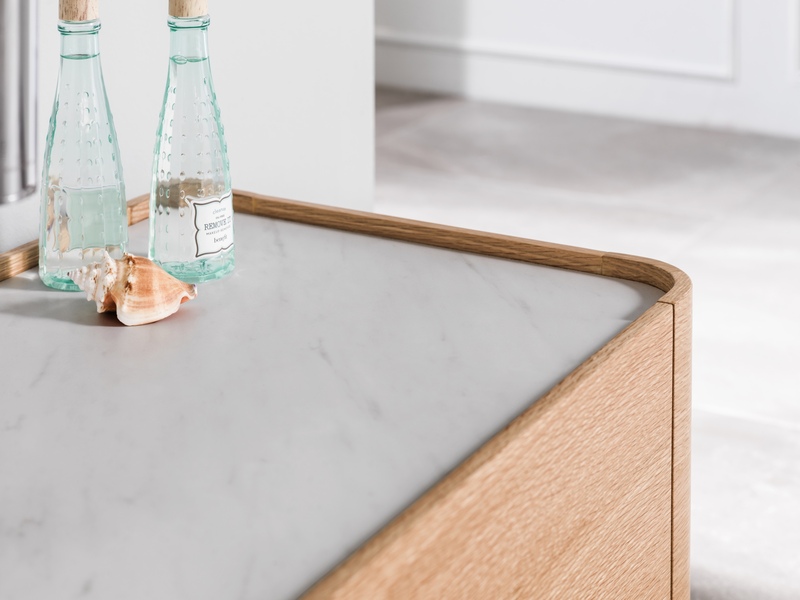 Systempool presented Terrazzo, a new Krion® collection celebrating mid 15th century Venetian recycling techniques (where leftover pieces of marble are used to make cement composites). 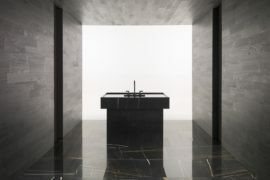 Mertens collection by Gamadecor with a basin-shaped rectangular block clad in natural granite. 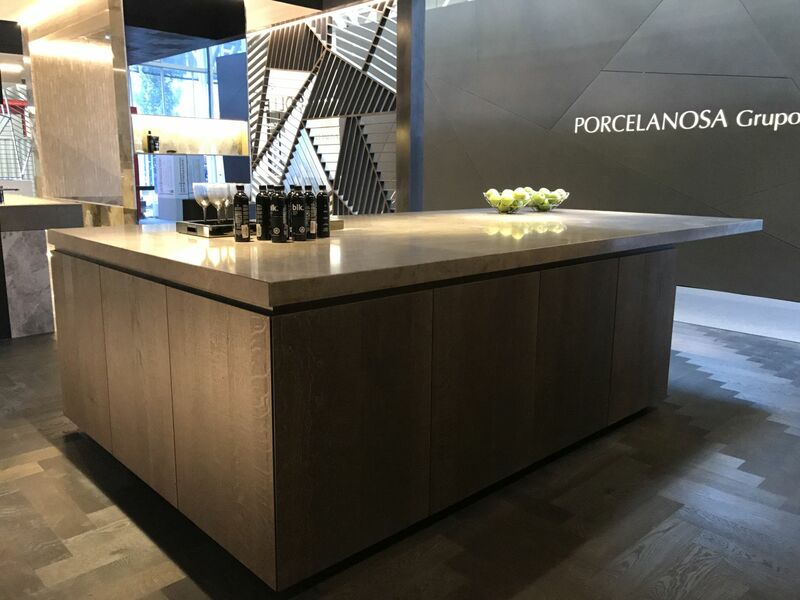 As part of the Porcelanosa Group’s stand, Porcelanosa (a company within the group), presented Delaware, the new Par-Ker ceramic collection. 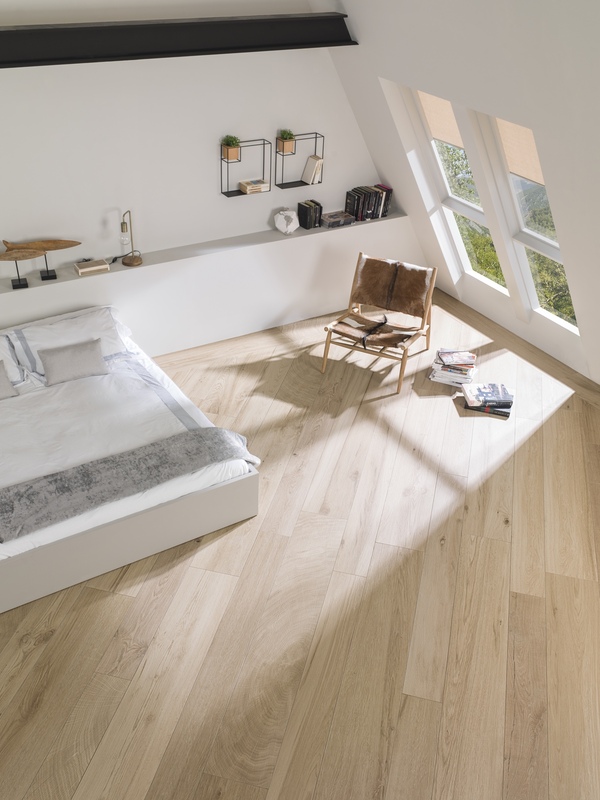 This visually realistic and tactile ceramic wood collection is made up of six designs that draw inspiration from oak, maple and beech woods. 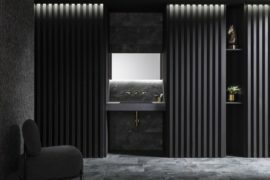 Visitors to the space (designed by Ramón Esteve), were able to access the Par-Ker universe, using 3D glasses in order to pick out the various combinations of colours. 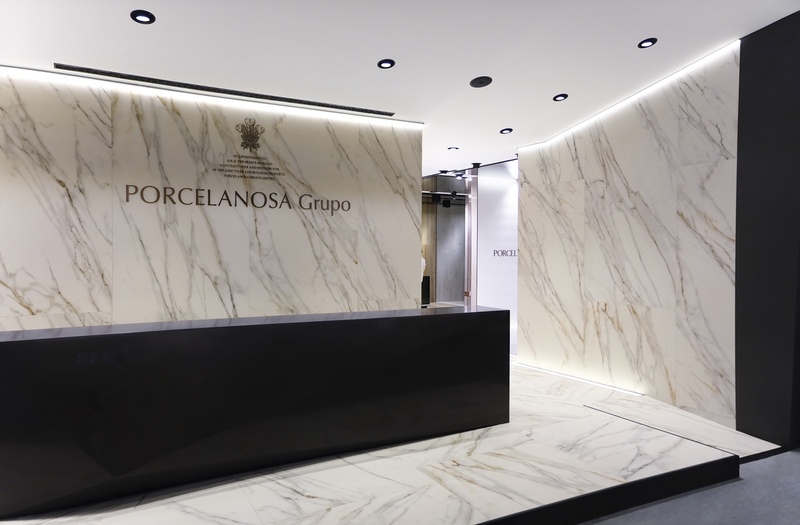 Photos © 2017 PORCELANOSA Grupo A.I.E.